Signature - Antique Ethiopian Cross, worn on Light Victorian Style Necklace. 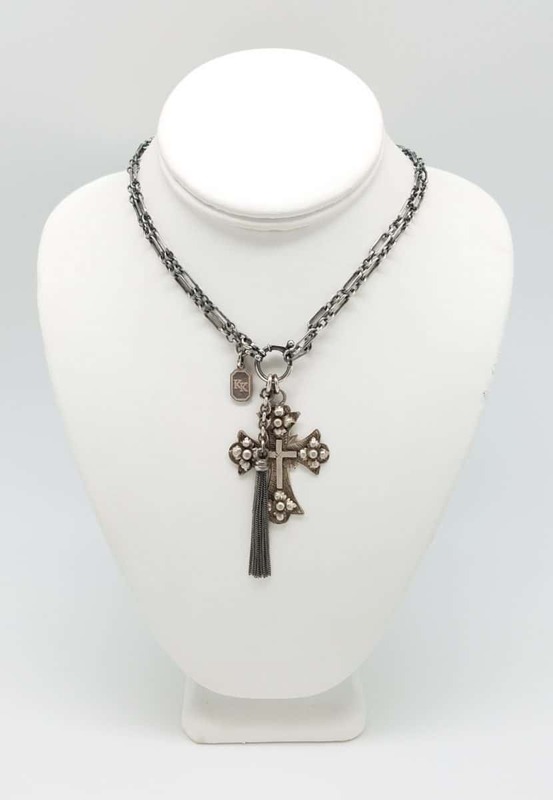 Necklace comes with two Italian Tassels that can be traded out for treasures like the Cross. The necklace can be worn long or short, as shown here.